Our Clerk of the Course would like to use the Code 60 procedure for our events. Please see the Blue Book extract below for exact details, but basically all marshal posts show the Code 60 flag simultaneously, everyone slows their speed to 60kph and holds place (i.e. should not be catching up or being caught), when the incident is clear then all posts show green and racing starts immediately, no waiting until the start line. The benefit is that the safety car is not deployed and thus we lose less time and get racing again much quicker. An issue identified is that there is no current requirement for our cars to have speedometers and we are aware that some of you do not. Following discussions at Cadwell, we do not believe this is going to cause a major problem. Some of you can get speed on your dash, others may use a revs/gear calculation (see below) or there are some relatively cheap gps speedometers available. We agreed with the CoC that Code 60 was not used at Cadwell and will not be used at Brands Hatch. We propose that this is introduced for first use in Monoposto at the Silverstone GP event 1/2 July. Please respond with any comments or questions in the next couple of weeks. The Code 60 flag will be brought into operation to neutralise a race at the sole decision of the Clerk of the Course provided that all flag points are in communication with race control. When the order is given to deploy the Code 60 flag it will be displayed at the start/finish line and simultaneously at all other posts. 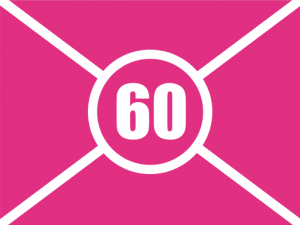 All competing cars, when notified of the Code 60 intervention (by the flag signal, or by any other means) will release the throttle, reduce their speed to 60kmh and should remain behind the car in front. Overtaking is strictly forbidden until the green flag is displayed. Any infringements may be penalised by a time penalty of 1 minute, or more. While the Code 60 is in operation, competing cars may enter the pit lane, but may only rejoin the track when signalled to do so. When the Code 60 flag is withdrawn it will be replaced with a waved green flag for one lap. Each lap covered while the Code 60 flag is in operation will be counted as a race lap unless specified to the contrary in Championship regulations. A complete lap under Code 60 conditions should result lap times in the table at the bottom of the page, but that doesn't help for a partial lap. Some dashboards may display speed which assuming is calibrated correctly is fine, others may choose to purchase an additional speedometer. However it can be worked out mathematically, but you need to know some specific information on your car. The formula to calculate RPM at 60 kmh = 159 / ( r * g * d). Calculation courtesy of Tristan Cliffe / Omicron Motorsport. 159 is the result of combining several constants into one. Example: For a car with rear tyre radius of 0.28m, gear ratio of 15/32 and differential ratio of 12/34. rpm = 159 / (0.28 x [15/32] x [12/34]). 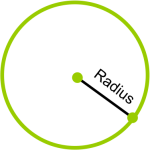 rpm = 159 / (0.28 x 0.469 x 0.353). So for the example above, 60kmh is achieved on a level circuit in that gear at 3426rpm. You may choose to do a calculation for 2nd and 3rd gears as 60 kmh is 37mph, and remember that the calculation changes if you alter diff ratio, change your gear ratios, or change your tyres - those with wets and slicks may have tyres of different radius. The RPM can then be noted on your dashboard or steering wheel or with a line on your rev counter.